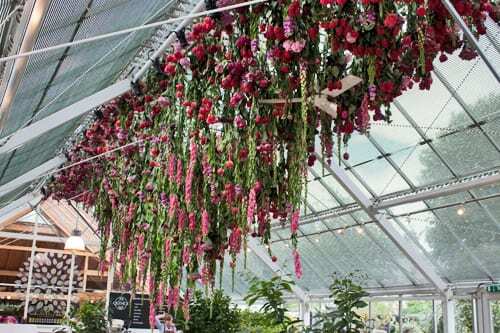 Last week, floral artist Rebecca Louise Law created a stunning installation of over 6,000 English blooms at Clifton Nurseries in London. 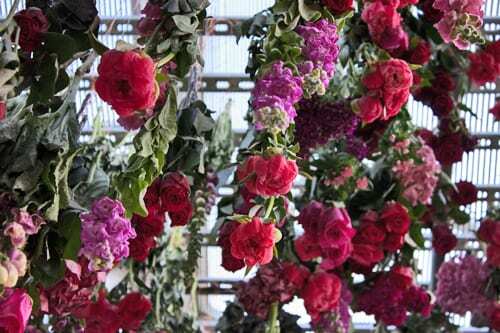 I was thrilled to be invited to the nurseries to see it in person and to take photos. 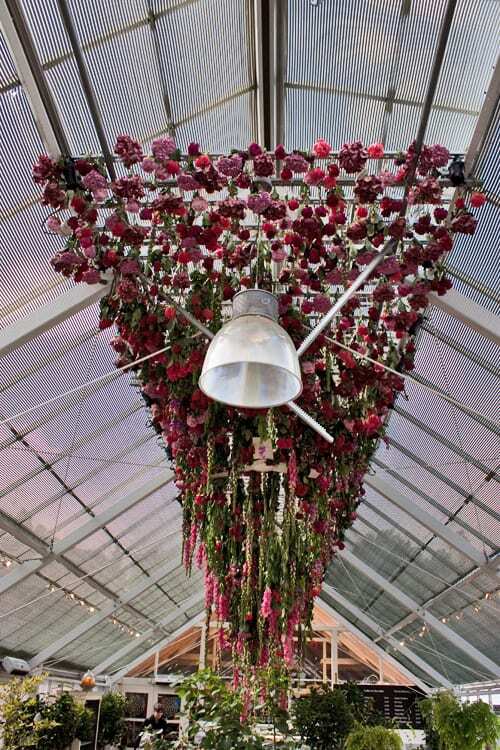 The installation, which was commissioned by Jimmy Choo, included roses, peonies, antirrhinums, hydrangeas and sweet williams in a wonderful colour palette of pale pink, coral, red and cerise. 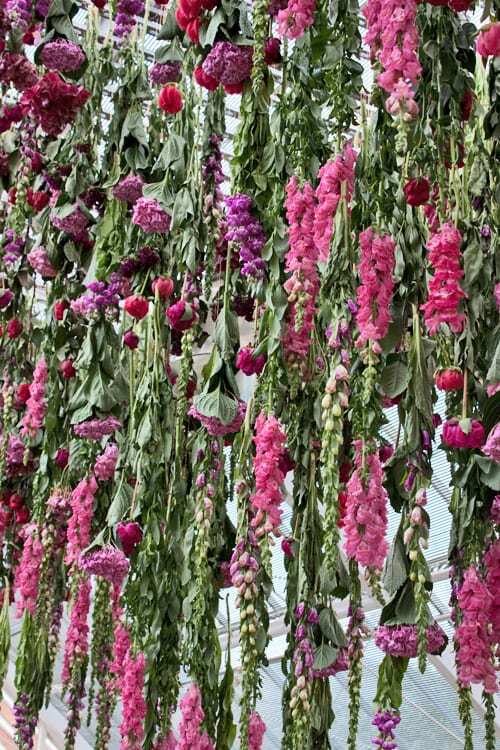 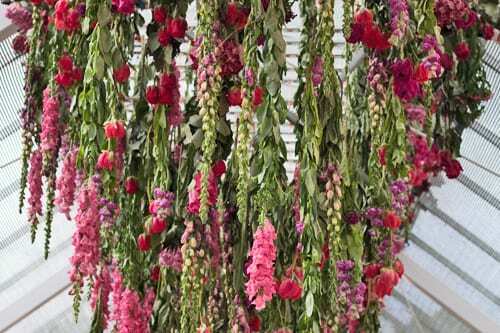 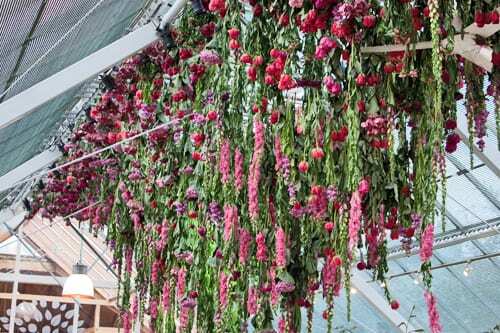 All of the blooms were suspended from the ceiling of the main greenhouse using copper wire. 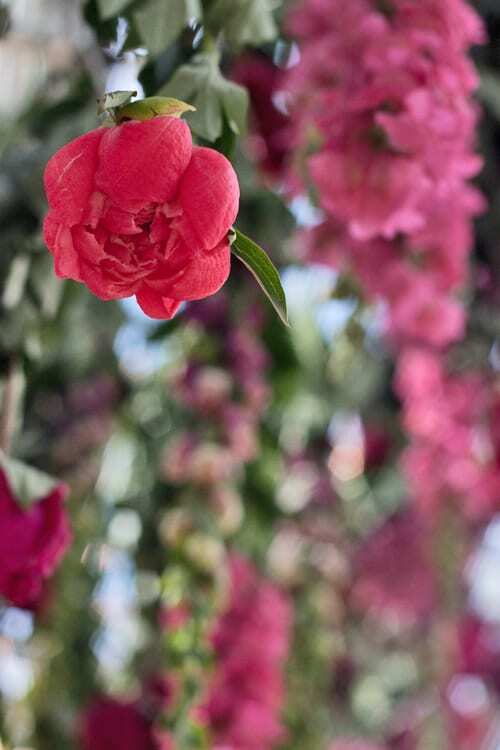 Next week, I’ll be featuring another of Rebecca’s masterpieces, which was also at Clifton Nurseries. 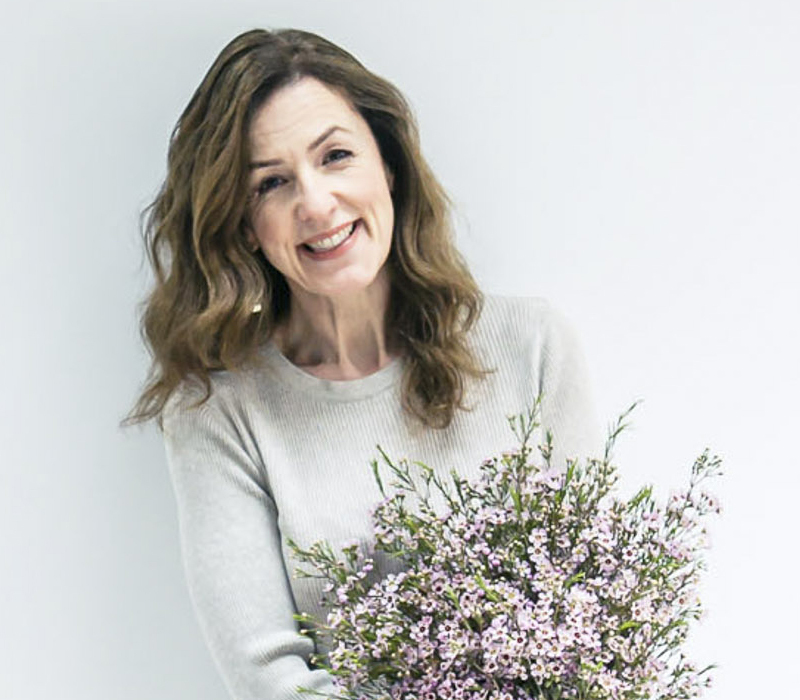 In the meantime, if you’d like to read more about this very talented floral artist, here’s an interview with Rebecca, which I featured on Flowerona earlier this year. 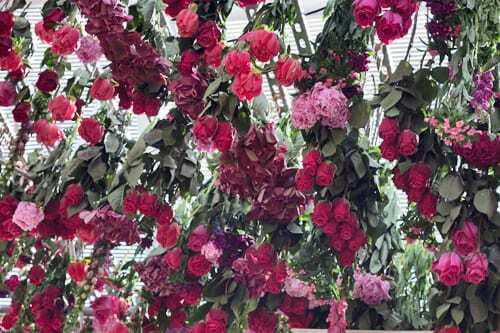 Plus, here are some blog posts featuring her recent installations at the Garden Museum and the RHS Chelsea Flower Show. 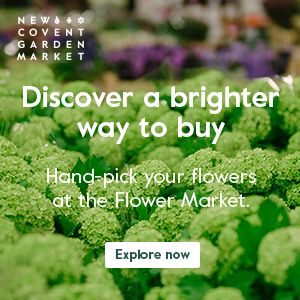 If you’d like to know more about Clifton Nurseries, which is based in Little Venice, here’s a link to a blog post which I wrote after visiting the nurseries, the summer before last.